The original project of 27 holes was made by the famous designer Pepe Gancedo. But Manuel Piñero was the person in charge turning the Golf del Sur into the only golf course on the Canary Islands with 3 courses after renewing the the Links course in 2005. 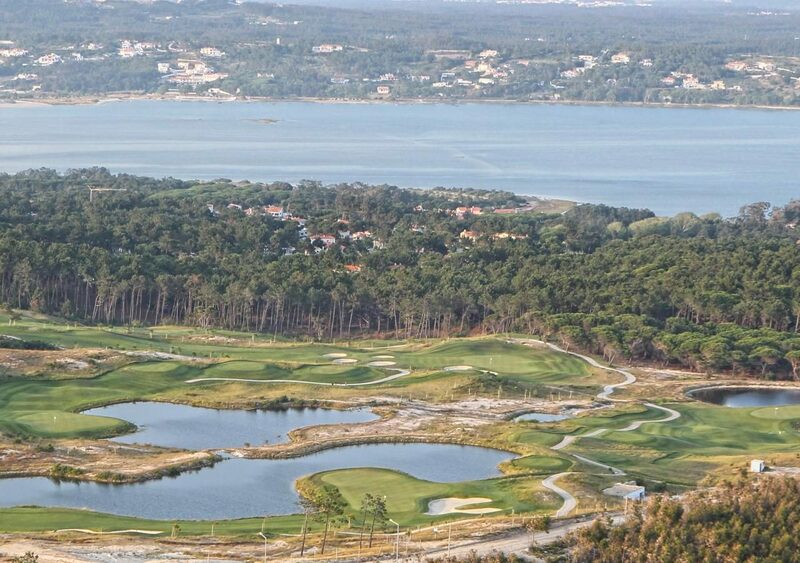 The 27 holes are perfectly divided on the three courses: the North course with 2949 metres and 9 holes split in 2 holes with par 3, 5 with par 4 and 2 with par 5. At the South course there are 2 holes with par 3, 5 with par 4 and 2 with par 5, covering an extension superior of 2957 metros. The 36 shots recently opened at the Links course are divided in 2 holes with par 3, 5 with par 4 and 2 holes par 5 with a playing area of 2853 metres. The morphology of the soil has a remarkable influence on the features of each round. 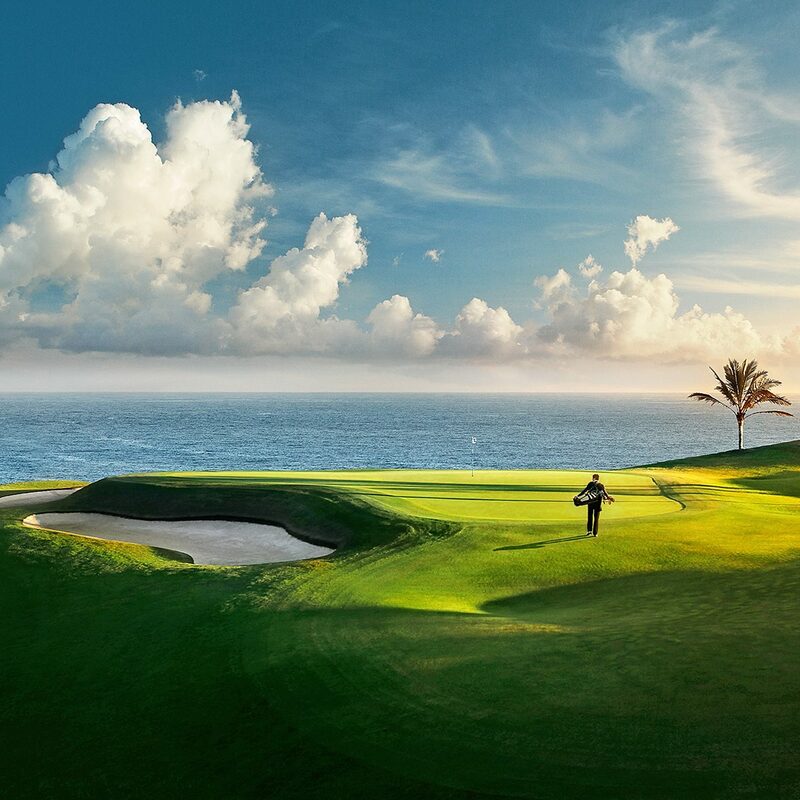 The presence of the sea and the impressive ravines on the course, giving the player the opportunity to enjoy each visit made to Golf del Sur. The fairways, wide and undulating, are dotted with many natural obstacles and the presence of various water hazards is in clear contrast with the incredible volcanic sand bunkers protecting the greens. 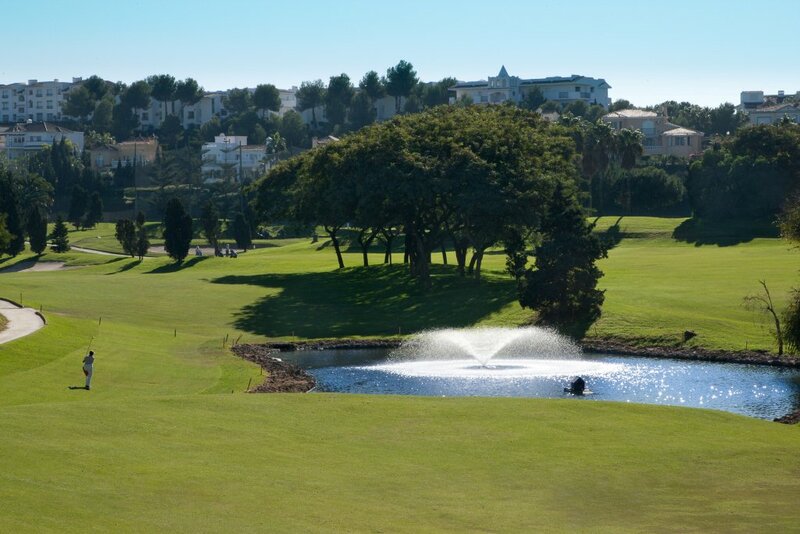 Golf del Sur facilities are at the same level of the greatest European golf resorts. The Club House, in traditional style can host events of any kind, with a wonderful catering service from its restaurant. The Pro Shop offers a wide range of first line products.